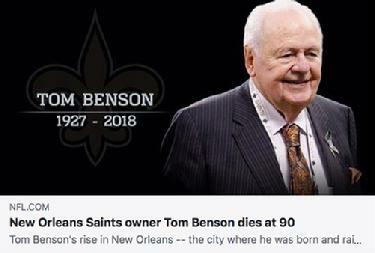 "Tom Benson: A Billionaire's Journey"
MY HEART goes out to friends and loved ones of Tom Benson, who passed away on March 15, 2018. My biography of Mr. Benson shows him as a driven – at times brutally ambitious – businessman whose extraordinary deal-making skills brought him great wealth and many challenges. The story reveals a plain-spoken man whose inherent strength enabled him to ignore public criticism and endure a host of personal tragedies as he built a lasting legacy. Tom Benson will be well-remembered by family, friends, the National Football League, the National Basketball Association and, importantly, the people of New Orleans, who recognize that his team, the New Orleans Saints, brought them a crucial sense of joy and pride at a time when they needed it most. My book, Tom Benson: A Billionaire's Journey, is available in New Orleans area bookstores and online at Amazon, Barnes & Noble, Target, Walmart and other major sites. To order an AUTOGRAPHED copy directly from me, CLICK HERE! The book is the story of the New Orleans Saints owner's relentless pursuit of wealth and the triumphs and tragedies he experienced before seeing his family come utterly unglued as he approached 90 years of age. I am a longtime New Orleans journalist, editor and business writer, and I approached the writing of this book as any good reporter would, with a goal of telling a complete and interesting story based on facts gathered through many months of research. "This is not a fawning portrait. Finn doesn't shy from controversy, and with Benson there is plenty." 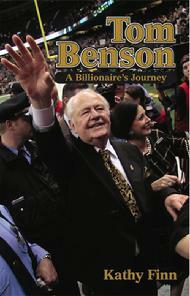 "Finn’s exploration of Tom Benson and his journey is as insightful as it is fascinating because Finn addresses the many mysteries in Benson’s life that have inspired curiosity ..."
"Local business writer/journalist Kathy Finn has written an unauthorized biography of New Orleans Saints/Pelicans owner Tom Benson ... What intrigues me most is this book was not written with Benson’s blessing." "You don't have to be a football fan to enjoy this most interesting & very well written book. Like him or not, this is a fascinating rags to riches story. A shrewd, powerful & intriguing character whose life experiences devastating tragedies & soars to ultimate highs. Highly recommend!" —Sharon B. "GREAT BOOK AND VERY GOOD READING"
"Very well done. Learned a lot of behind the scenes stuff from a bunch of different angles. Would recommend." —Jeremy B. "Kathy Finn did a wonderful job in writing this. A must buy!" —David R.
"THE GOOD JOURNALIST THAT SHE IS ... "
New Orleans sports writer Jeff Duncan reviews Kathy's book in The Times-Picayune and Nola.com, Dec. 2, 2016. 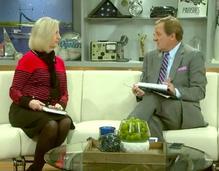 Kathy discusses her book on WYES-TV's "Informed Sources," Nov. 18, 2016. Interview on WRBH-FM, with moderator Sherry Alexander, Dec. 8, 2016. 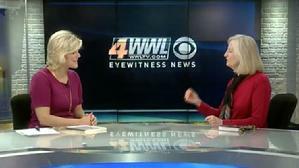 Nola.com sports writer Jeff Duncan reviews Kathy's book on Tom Benson, Dec. 4, 2016. A federal judge has given New Orleans Saints owner Tom Benson and three of his heirs, who have battled with him over ownership of assets that include his two sports teams, more time to work out details of a settlement that is likely worth more than $1 billion. Read more. Terms of an agreement over who owns the New Orleans Saints could become final within a few weeks, and while the details may remain under wraps, indications are that the $835 million valuation Tom Benson placed on his heirs' interest in the team was not a high enough price to buy them out. Read more. 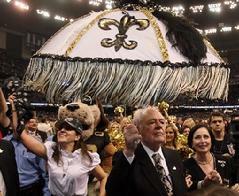 A veil of secrecy cloaks the recent settlement of disputes over the estate of New Orleans Saints and New Orleans Pelicans owner Tom Benson, but public records indicate that the billionaire and his heirs were far apart in how they valued his teams and that pricey assets such as Benson's San Antonio condominium changed hands even before the battle ended. Thurs., Dec. 7 – Kenner North Kiwanis, Doubletree Hotel, Veterans Boulevard, Kenner; 7:30 a.m.
Wed., Nov. 15 – Metairie Literary Guild, New Orleans Country Club, 11 a.m.
Tues., Nov. 14 – Learning Before Lunch speaker series, Innsbruck Room at University Center, University of New Orleans; 10 a.m. Mon., Nov. 13 – Scandia House fundraiser, @ Scandia House, 1772 Prytania St., New Orleans; 6 p.m. Thurs., Nov. 2 – Northshore Mandeville Kiwanis Club, Mandeville Community Center; 7:15 a.m. Thurs., Nov. 2 – Milton H. Latter Memorial Library, 5120 St. Charles Ave., New Orleans; 6 p.m.
Tues., Sept. 26 – Causeway Branch/St. Tammany Parish Public Library, 4023 Highway 411, Madisonville, La. ; 6-7:30 p.m.
Wed., Sept. 27 - Rotary Club of Kenner, Chateau Country Club, 3600 Chateau Blvd., Kenner; 6-7 p.m.
Wed., Sept. 20 – West Jefferson Kiwanis Club, at Tony Mandinas Restaurant, 1915 Pratt St., Gretna, La. ; 12 noon. Sept. 12 – Kiwanis of New Orleans, Lakeview Harbor Restaurant, Harrison Avenue, New Orleans. Sept. 6 – Kiwanis of Third District, Maple Street Cafe, 7623 Maple St., New Orleans. Aug. 31 – Kiwanis Club of Algiers, Aurora Tennis & Swim Club, 5244 General Meyer Ave., Algiers.